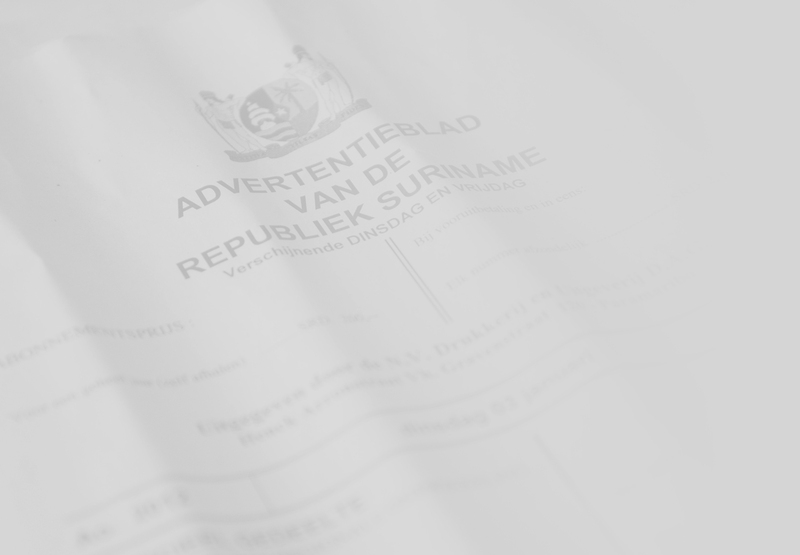 THE OLDEST, LARGEST AND MOST PRESTIGIOUS LAW FIRM IN SURINAME. We are a full service law firm attending to our clients, who include some of the world's prominent institutions and organizations, as well as NGO's and private persons, and reputable local companies and government bodies. We are a member of the World Services Group, and a Leading Associate for Brandstock's exclusive Alliance of Leading Associates. Please enter your name, last name and a valid email address to sign up to the Lim A Po newsletter. After you click 'Submit', a confirmation link will be sent to your inbox. Click the confirmation link and you will be automatically added to our newsletter list.